Okay, so your boss wants to understand what the heck is going on with his manufacturing systems and make sure that YOU can prevent any “hiccups” before they happen. Well, that’s easier said than done, right? Especially when you’re manufacturing complex products that could potentially require thousands of parts from hundreds of suppliers. So, where do you start when you need to ensure that your manufacturing process runs as smoothly as possible without any surprises? Start with the basics. What is Process Failure Modes and Effect Analysis (PFMEA)? the amount of harm or damage the failure mode may cause to a person or to equipment (the severity of the potential failure). The product of these three scores is the Risk Priority Number (RPN) for that failure mode. The sum of all the RPNs for the failure modes is the overall RPN for the process. As an organization works to improve a process, it can anticipate and compare the effects of proposed changes by calculating hypothetical RPNs for different scenarios. Just remember that the RPN is a measure for comparisons within one process only; it is not a measure for comparing risk between processes or organizations. When Do I Use PFMEA? How Do I Calculate PFMEA? 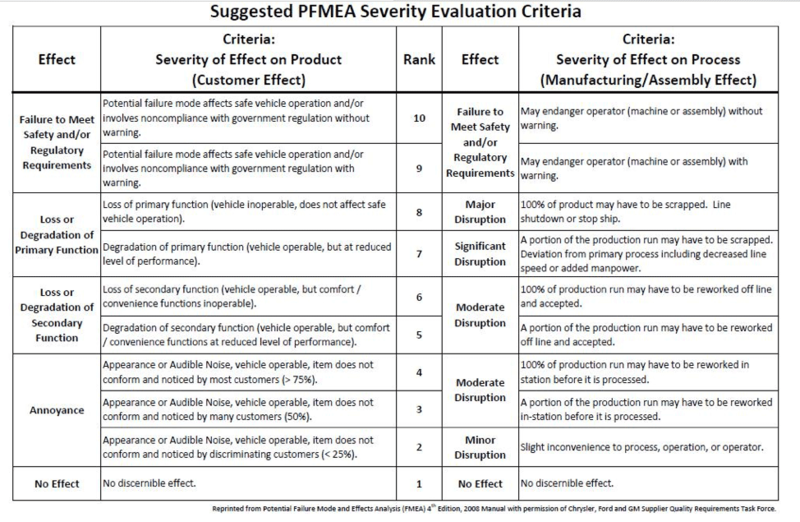 To accurately calculate your PFMEA score you must first determine the severity of your process. 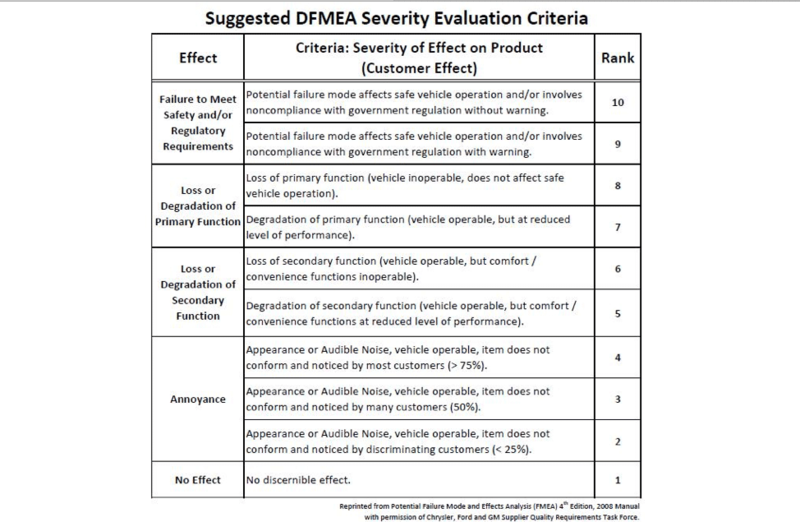 Accendo Reliability does a great job explaining PFMEA severity and has shared the below charts to help you get started identifying how severe the effects of your potential risks are. In short, 1 will represent an insignificant error and 10 will mean the severity of the error would be devastating. Next, determine possible root causes for each effect. For each root cause, assign an occurrence rating. Also rated on a scale of 1 to 10, this number represents the probability of failure occurring for that particular cause. For each of the root causes you’ve identified, identify current process controls. These will be the procedures or mechanisms you already have in place to avoid the particular cause. Then, determine the detection rating for each of your controls with 1 meaning your control will definitely detect and solve the problem and 10 meaning the control will definitely not detect the problem or that no control is in place at all. For example, if your severity is 7, your occurrence is 2 and detection is 3, your RPN will be 42. Unless your RPN equals 1 (which is not likely), you will want to decide which changes need to be made to your design or process as well as how urgent those changes are in order to lower your RPN. Even if your overall RPN is low but your severity rating is high, you’ll still want to make changes to the process that would help lower that number. Make sure you note how the changes will be made, such as who will be responsible for any updates and when they need to be made by. After the changes are made, note the results on your FMEA form and calculate your new (hopefully lower!) RPN. Don’t delay! Download our PFMEA template to start improving your processes today. 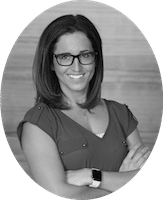 About the Author: I currently oversee the Marketing Department at Pyramid Solutions where I really enjoy the ability to work the front lines as well as steer from the back. I am a dog lover, avid Crossfiter and a lifelong learner.